Sunday mornings are a great time to come out and worship, listen, and learn, but there’s much more to Life Pointe than what happens for an hour each weekend. God designed you to live your life in real, regular contact with others and Him which goes beyond what you can get on Sundays. 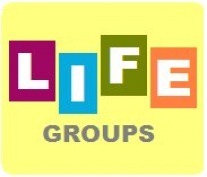 Our Life Groups are designed as another opportunity for you to get more involved. Whether you're new to God, ready to dig deeper into the Bible, or just seeking some answers and fellowship, our Life Groups are here for you! Come by on Wednesday nights. Everyone is welcome. If you have questions, click on the 'Plan a Visit' link above.